In this report, we will take a deep look at Gunday box office collections worldwide over its 8th day of release. Not much surprisingly, a massive chunk of the total 63.08 Crores collection (gross) is generated from India by the film till now. This young duo of Ranveer Singh and Arjun Kapoor along with sensational Bollywood beauty Priyanka Chopra was released on Valentine’s Day which was a great advantage for the film. It opened well to good reviews from both audiences and critics alike. 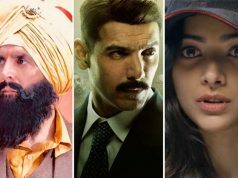 “Substantial chunk of Gunday’s box office collections revenue has come in from UAE-GCC, followed by US-Canada region,” said trade analyst Taran Adarsh. Business of this flick was outstanding in its first opening weekend and was suppose to get much higher but in the weekdays it dropped down the collections gradually. Even then it is making decent collection each coming day. The fact worth noticing here is that the film performed considerably well in single screens but multiplexes performed well in selected regions only. 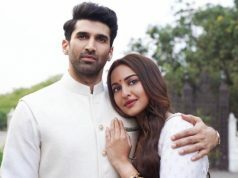 The film did well in CI, CP, Delhi/UP, East Punjab and Bihar whereas its box office collections in Gujarat, Mumbai and Mysore were just good. The expectations from Gunday have been all-time high after the first trailer was launched several weeks ago and a robust start was definitely on the cards. 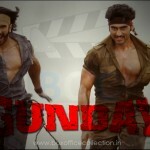 A section of the industry is convinced that Gunday is the next Rs 100 Crores grosser. As being hoped, we cannot say anything so surely about this as today one of the 2014 awaited movies Highway has been released. 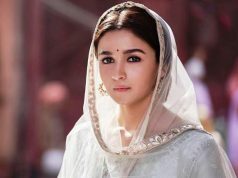 Audience is excited to see Alia’s performance and pairing with Randeep Hooda. As far now it has made a good business and brought profitable digits for its film makers. But with the fact that today new movies have been released, Gunday is expected to get threshed by Highway heavily. Rest will be seen when the final figures arrive tomorrow.